Congrats to Archie Cochrane Ford - the Fastest-Growing Ford Dealer in the Northwest! 2018 was record-setting at Archie Cochrane Ford, the largest volume Ford dealer in Montana! 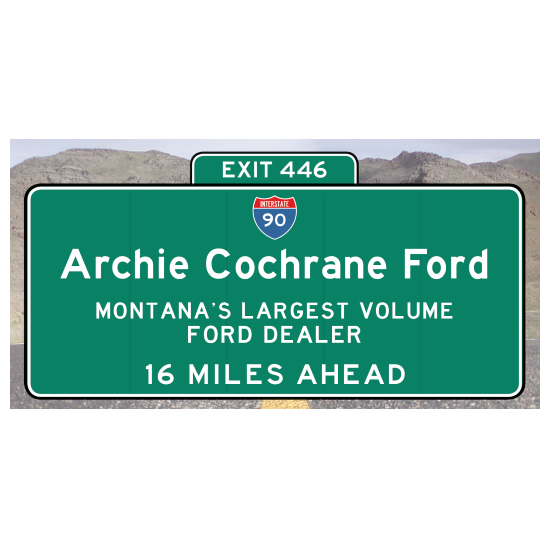 Despite the Northwest Region being down overall for the year, and despite Archie Cochrane Ford’s location in Billings, Montana (over 800 miles from Seattle and Portland, with less than 20% of the population of either city), Archie Cochrane Ford moved up from #13 to #7 overall in the Region out of 118 dealers, with sales up 21% for the year! How did Archie Cochrane Ford move up so fast, beating dealers in cities 5 times its size? It’s all about the 3 Ps…People, Product and Promotion. Archie Cochrane Ford has great people. Ford makes a great product. And in December 2017, Archie Cochrane Ford hired CBC Automotive Marketing to handle their promotion. CBC went right to work doing the custom research & auditing necessary to identify their UMPs (Unique Marketing Positions), their customers’ media habits and where their best opportunities were for ROI. CBC then launched a comprehensive custom marketing strategy, with an effective, data-driven mix of digital and traditional to keep Archie Cochrane Ford in front of potential customers throughout today’s multi-point car-buying journey. The custom creative running across all media is always spirally integrated. Whether it’s traditional radio, Internet radio, television, social media advertising, paid search, point of sale and more…a potential customer sees and hears the same custom message regardless of where they’re consuming media. CBC is proud to be a small part of Archie Cochrane Ford’s large success! Whether you sell 30 or 3,000 cars a month, if you have your dealership operations in order, CBC can help take you to the next level.